Although 2015 didn’t have any DC Comics offerings for movie fans, it was a big year for the comic book company on television, even ignoring Constantine’s unfortunate cancellation. Arrow and The Flash continued to build its DC TV universe over on The CW, Fox nudged Gotham into a more serialized format and and Supergirl debuted on CBS. It wouldn’t be exaggerating to say this was DC’s biggest year in television so far, so it makes sense that with everything that happened, viewers were treated to a lot of great new players across the shows. Like we did last week with Marvel, we’re going over the 10 best characters that were introduced on the DC TV shows, from heroes who got their start to villains who gave protagonists trouble to supporting characters that were along for the ride. Most of the characters will continue to have a presence next year in their respective shows, but this year, they made their mark by leaving great impressions with fans. Note that this list is focusing on the superhero-based properties from DC Comics, which is why you won’t see Vertigo show iZombie on here. 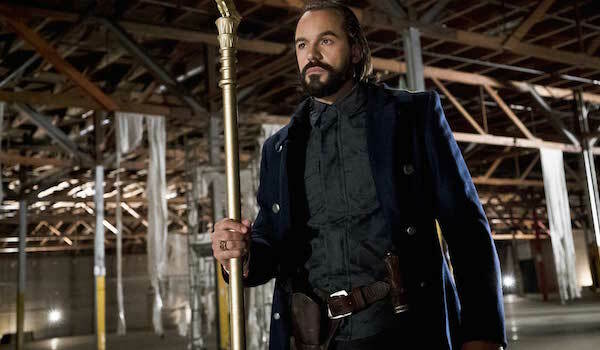 Vandal Savage will be Legends of Tomorrow’s main antagonist next year, but viewers got their first taste of him earlier this month in the Flash/Arrow crossover. Having walked the Earth for thousands of years, Vandal has accumulated immeasurable amounts of knowledge and skills, all in his quest to gain power and kill each reincarnated version of Hawkman and Hawkgirl so he can keep his long lifespan going. In just two episodes, he demonstrated himself as one of the most dangerous individuals in this DC TV universe, both through small acts (fighting Teams Arrow and Flash single-handedly) and big (destroying an entire city). Beyond his natural talents, Vandal is also one of the more sadistic adversaries these shows have seen, though at the same time is fun to watch when he’s threatening and speechifying. Viewers will see Rip Hunter’s team of time travelers deal with Vandal across multiple time periods in Legends of Tomorrow, and if he’s as charismatic on that show as he was during the crossover, then viewers are in for a treat next year. With Ray Palmer missing (and now jumping to Legends of Tomorrow), Arrow was in need of a tech-based superhero. Enter Curtis Holt, the show’s version of Mr. Terrific. While Curtis is still a ways from jumping into Team Arrow as a masked crimefighter, he’s already had moments to shine working at Palmer Technologies. His energetic attitude matches his boss Felicity’s quite well, making them kindred intellectual spirits while working together on new gadgets. At the same time, he also serves as a good voice of reason when Felicity is flustered or confused, thus helping her out of a few jams. The groundwork is already being laid for Curtis to eventually become Mr. Terrific on Arrow, noting his past as an Olympic athlete and the creator of the prototype T-sphere, and if all goes well, we’ll hopefully see him suit up as Season 4 concludes. In the meantime, we’re just having fun watching him invent new tech and correcting Felicity on her grammar every now and then. 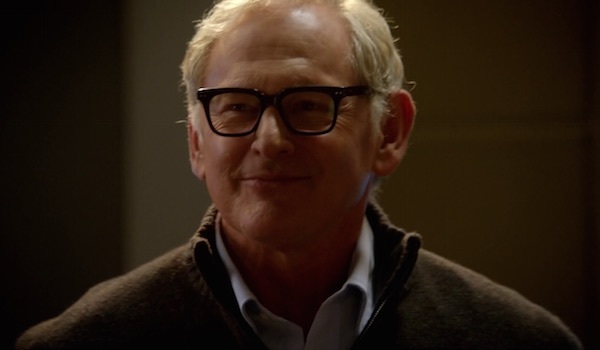 After being cut out of the pilot, Dr. Martin Stein finally debuted on The Flash early in the second chunk of Season 1 as one-half of Firestorm. Despite reading few (if any) Firestorm comics before taking the role, Victor Garber has been successful replicating Stein’s personality on TV. Though he comes across as cold when first meeting Barry and his allies, Stein showed himself as a kind and caring man who wants to use his scientific knowledge and Firestorm powers to help better mankind. When he’s not assisting Team Flash as one of its brains, he’s serving as a mentor to his fellow Firestorm co-host. It’s worth noting that one of Stein’s most appreciated traits is the layman explanations he provides on complicated subjects in the realm of physics, be it with time travel or the multiverse. Stein served as the resident physicist in the S.T.A.R. 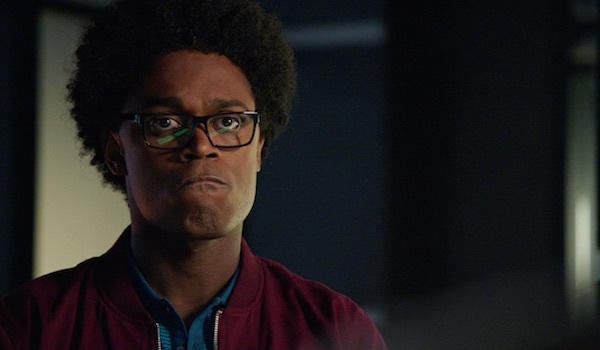 Labs for the first couple episodes of Season 2, but Legends of Tomorrow will see him develop further as he works alongside Jefferson Jackson and his fellow teammates, and he’ll ideally continue to drop the occasional humorous quip that he’s been prone to do on The Flash. As the founder of CatCo Worldwide Media, Cat is responsible for much of the publicity surrounding Supergirl in National City, but this “branding” isn’t done so much out of the goodness of her heart as it is for Cat to be the best. While managing her company on the CBS series, she doesn’t suffer fools, she doesn’t tolerate failure and she is determined to see that her image isn’t tainted in any way, making her come across as shallow. However, as we’ve seen through her interactions with her son and when she’s passing advice to Kara, she does indeed care about certain people, but her tough exterior masks this caring nature so that people can’t take advantage of her. If the midseason finale is any indication, Cat’s going to be taking a more personal role in Kara’s development as Supergirl, but her blunt and unforgiving attitude will continue to mark her as one of the most unique women in superhero television. It’s challenging enough playing a character that’s liked by so many fans, but Tom Cavanagh managed to capture lightning in a bottle twice on The Flash. 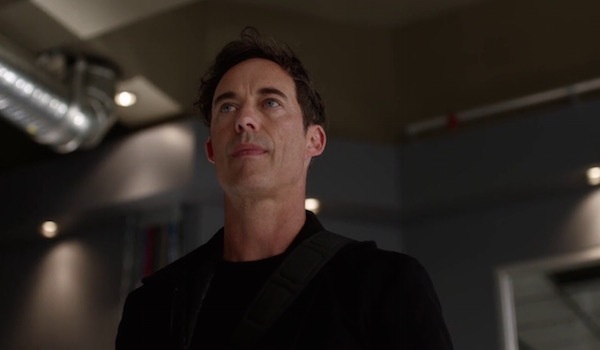 After a season of playing the sinister Eobard Thawne disguised as Harrison Wells, the actor is back in Season 2 playing the Harrison Wells from Earth Two, and he’s giving the S.T.A.R. Labs team a hard time like his predecessor did. While “Harry” Wells is working to stop Zoom so he can save his daughter, the man has an ego the size of Central City (from either Earth), and his brusque demeanor and rudeness are great contrasts with Thawne’s calmness. Rarely is he willing to admit when he’s wrong, yet he has no problem informing one of his allies when they’ve messed up…or at least if he thinks they have. Harry’s mellowed a bit after Barry was nearly being killed by Zoom, and while he may start to be nicer as Season 2 progresses, it’s doubtful he’ll drop the attitude overall, and we’re perfectly fine with that. After originally playing James Jesse, a.k.a. The Trickster, in two episodes of the original 1990 Flash TV series, Mark Hamill reprised the role over 20 years later for the new Flash series, and no doubt all the fans thanked the comic book gods this happened. Trickster is already notable for being one of the few non-metahuman criminals to give the Scarlet Speedster trouble, but Hamill is channeling the perfect insane personality for the gag-obsessed supervillain. One moment he’s gushing over his weaponized toys, and in the next he’s threatening to kill you, and both are frequently done with a smile. Admittedly, there are elements of this Trickster that practically mirror Hamill’s animated Joker, making this character much darker than his comic book counterpart, but that still doesn’t detract from the perfect balance of wacky and sadistic that James Jesse brings to The Flash. Since Hamill had already demonstrated he could play the character well (and voice him in a Justice League Unlimited episode), it was a great move to bring him back for Season 2, and no doubt we’ll be seeing him again at least once in the upcoming year. Following Ra’s al Ghul’s underwhelming presence in Arrow Season 3, the show needed a new main antagonist that could really frighten both its protagonists and the viewers. 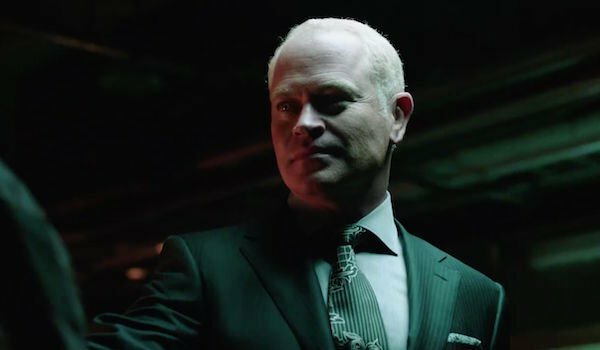 Damien Darhk isn’t that well known in the comics, but with Season 4 only nine episodes deep, he’s already accomplished that goal. Unlike Arrow’s previous main baddies, Damien doesn’t see himself as self-righteous. He has one mission: to destroy Star City for the Genesis project, and he’ll do it by any means necessary, no matter how ugly. 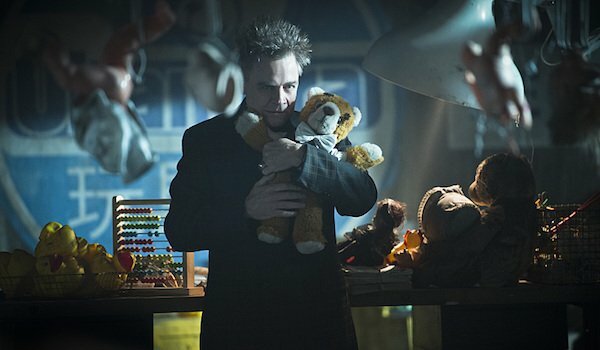 Beyond his ruthless nature, Damien also wields a unique magic skill set that we hadn’t seen on Arrow previously, from telekinetically controlling objects to killing someone just by touching them. He takes every chance he gets to use these abilities to eliminate anyone in his way (mainly Team Arrow) and punish those who’ve failed him, making him someone you don’t want to anger. On top of all this, Damien brings a kind of suaveness we haven’t seen in a main Arrow villain before, and when you put all of the traits together, it give fans an evildoer they love to hate. Arguably the most important female-led superhero series since Wonder Woman, Supergirl has gotten off to a decent start since debuting in October, and one of the reasons for its successes is, of course, the eponymous protagonist. Unlike her famous cousin, Kara Zor-El is still learning the ropes of what it takes to be a superhero, but she’s already gotten off to a good start in just a couple months. Like Superman, she is determined to protect humanity, whether that’s beating up a bad guy or calmly talking people out of making a mistake that will ruin their lives. What makes Kara such a relatable character is also how she knows she’s not perfect, but her enthusiasm and good heart don’t stop her from living up to her family’s coat of arms by instilling hope in others. 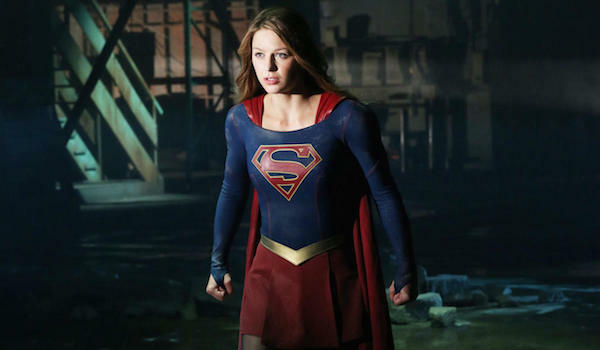 Perhaps more than any other TV superheroes, Melissa Benoist’s Girl of Steel has been an inspiration in real life, both to young girls looking for a superhero role model to the older viewers who admire what the character stands for. That’s one of the best compliments a fictional character can get. 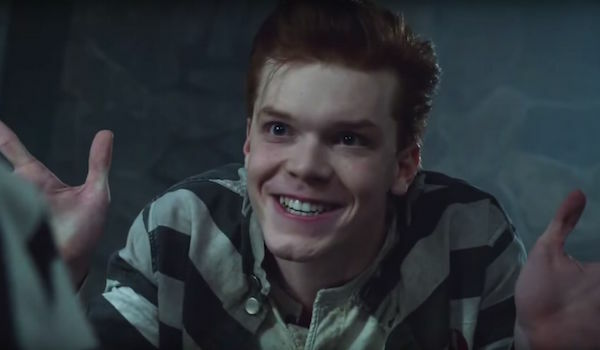 When Jerome Valeska appeared in Gotham Season 1, it was originally meant to just be a guest appearance teasing him as someone who might become The Joker. However, it was in Season 2 that Jerome really got to show what he was made of while causing chaos around Gotham City with his fellow Arkham Asylum escapees. Just like the Clown Prince of Crime from the comics, Jerome takes delight in the suffering of others, but he doesn’t want to kill like any other standard nutcase. No, he wants to do it with style and precision. He wants to make a show out of murder, and for two episodes, he accomplished that, namely though the assaults on the GCPD and the Children’s Hospital gala, all while overcome with glee. Whether Jerome has truly moved to the great beyond or will somehow be revived later this season, he’s already left his mark on Gotham City by spreading his madness to others, and thanks to him, The Joker will one day torment the world, whether he’s the one with the white skin and green hair or someone else. After everything Reverse-Flash did in The Flash Season 1, it’s hard to imagine finding a more frightening speedster...and then Zoom came into the picture in Season 2. This Earth Two antagonist looks more demon than man, crackling with blue energy wherever he goes, and his voice (provided by horror veteran Tony Todd) is the perfect level of creepy. At first, Zoom was just the guy lingering in the background, sending Earth Two metahumans after Barry to do his dirty work, but it was in “Enter Zoom” that proved he’s a powerhouse. Flash has been defeated before, but this was different. Not only did Zoom break Barry (figuratively and literally), but he humiliated him for all of Central City to see. 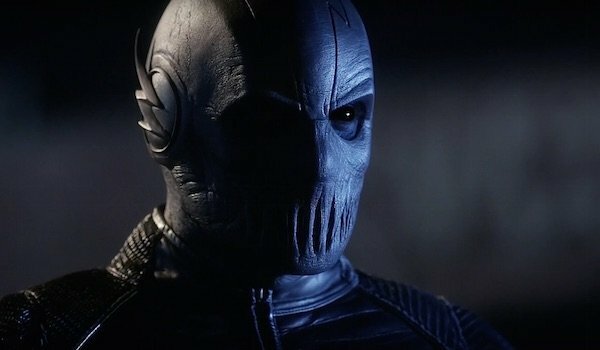 There are still a lot of unanswered questions about Zoom, like who he really is, how he came to look so bizarre and if there’s more to his overall plan than just making Barry more powerful so he can steal his speed. So far, though, he’s shown that he is indeed a monster, and we hesitate to think what he’ll do during the latter half of Season 2. Head to the next page to let us know which of these freshman DC TV characters is your favorite! Which New DC TV Character Do You Love The Most?